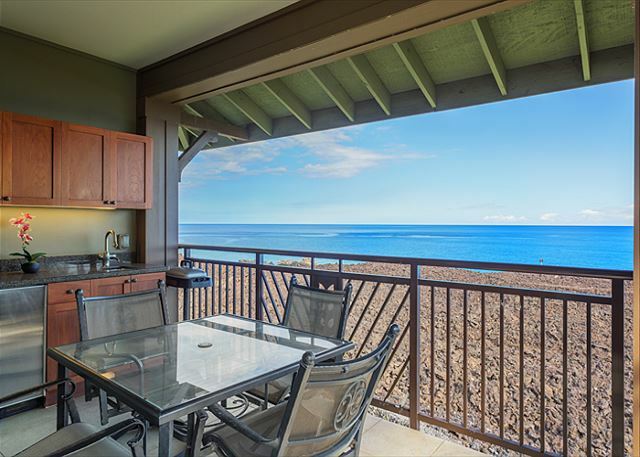 Halii Kai 14D boasts spectacular panoramic ocean views from its oceanfront setting at Halii Kai. From whales in the winter months to views of Maui, the view is nothing short of spectacular. The view is visible from all areas of the main living space. The living area has a sleeper sofa along with two chairs that face a LCD television with extended cable and a DVD player. 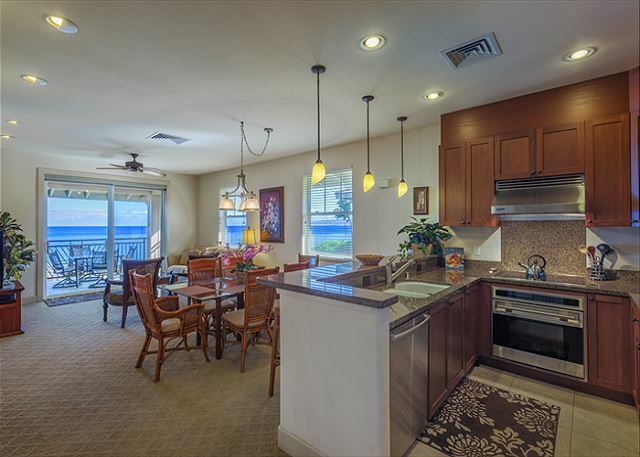 Just off the living area is the lanai, which has a table and chairs for four along with a wet bar. Adjacent to the living room is the dining area which seats six. 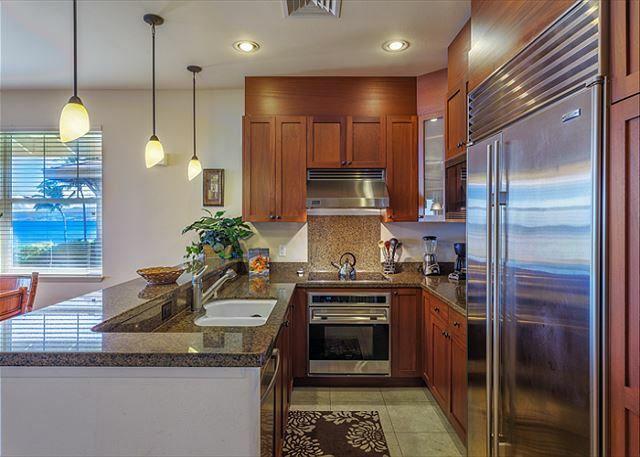 The kitchen features stainless steel appliances, granite counters, and is well stocked. Just off the living area is the master bedroom with a king size bed with bedside tables facing a LCD television on a chest of drawers. The beautiful ocean view is visible out the windows of the bedroom. 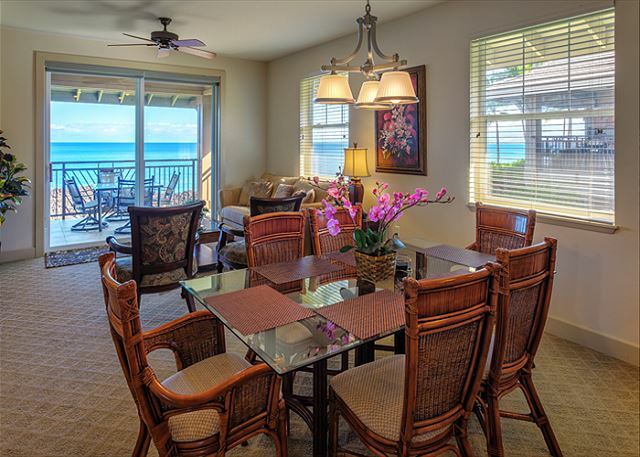 Open the windows to enjoy the sounds and scents of the ocean just feet away! The master bath has a deep soaking tub, walk in shower, and dual vanities. On the other side of the villa is the guest bedroom with two twin beds facing a chest of drawers with a LCD television. The nearby bath has dual vanities with a tub/shower combo. 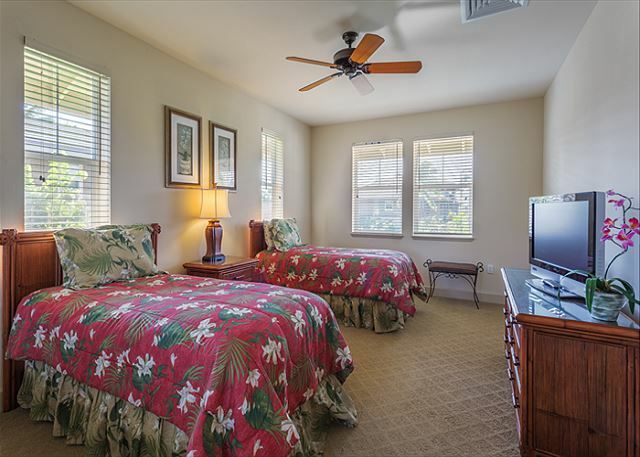 Other Halii Kai 14D Amenities: wifi and full size washer and dryer. We rented this property for 32 days. 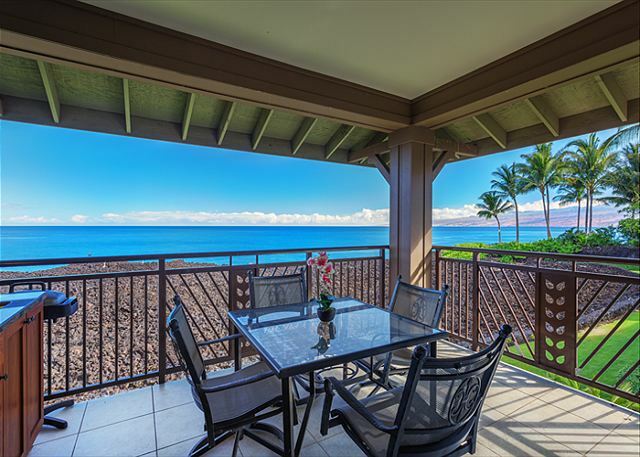 The location is wonderful with great whale watching from the lanai. Jessica, the concierge, is fabulous and quick to respond to any request. 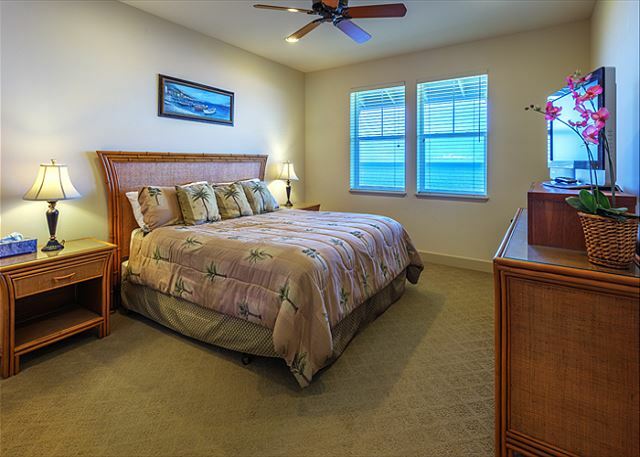 Waikoloa Vacation Rentals has worked well with us in the past and will continue to do so. The condo is nice, but it lacks attention to details. The kitchen is minimally furnished, i.e. only 4 cups, no dish cloth. There were minimal clothes hangers. The lighting in the second bedroom was so inadequate that it was impossible to see well after dusk. The living room furniture is adequate. The property was clean (except for the carpet in the living room and bedrooms.) The pool area is exceptional and the restaurant there is great! The condo is very quiet and breezy!